Foreword written by Shaka Smart! Organize. Save Time. Improve Record Keeping. Train Assistants. Make Decisions. Win More Games. First-ever basketball forms book guaranteed to help you organize and improve your entire basketball coaching program. In 93 forms and templates, you’ll find: overall program organization, coaches’ evaluations, players evaluations, practices plans, offensive and defensive skills, offensive and defensive plays and diagrams, game management, scouting reports, season review, off-season forms and more! Most forms even included a completed example to show you how it should be used. PLUS…each book includes ABSOLUTELY FREE a forms CD with all 93 forms and templates to print whenever you need them. 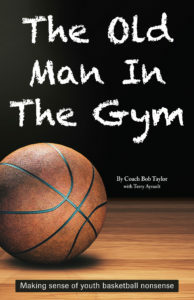 This is the one book a basketball coach should not be without!